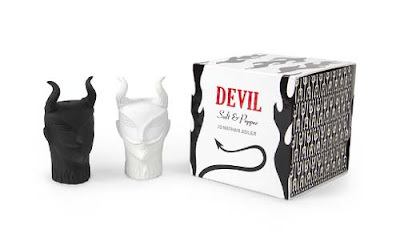 Oh, I totally have to have these Jonathan Adler devil salt and pepper shakers. 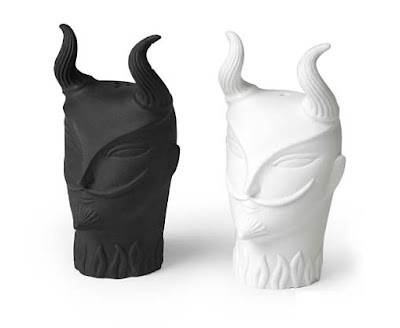 They'll look so cool on my dining table at my Halloween parties and goth dinner parties. I love that the devil is confidently smirking a bit, and I love that the horns are curly. They sport wicked moustaches, too.